We are happy to announce exciting changes to rbiEXPERT. Introducing Market Gauges. We've added nifty gauges that compare the most recent monthly indicators against their 5-year average, 5-year maximum and 5-year minimum for that month. 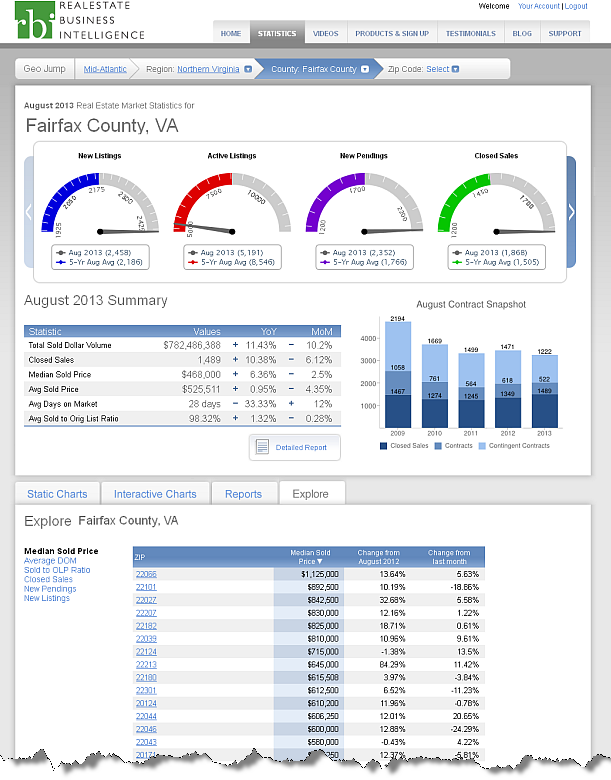 Interactive Charts Update. 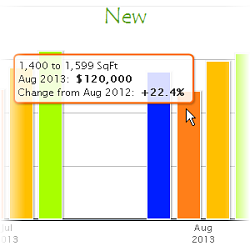 Tooltips, the magic boxes that show up when you mouse over a chart, now include the year-over-year change figures. While it might seem like a small tweak, we think this will be a big hit. No need to do the rough calculation in your head or get out your calculator, just look at the "magic box". Page Redesign. The page layout has been enhanced to streamline the user experience, including changes to the legacy map and location list feature. We've redesigned the layout of our Statistics page in rbiEXPERT. We've streamlined it such that you can get general trends quickly ("Are homes selling quickly, and is that normal?") up top and more specific trends ("What's the average sale price for a 1,600 to 1,800 square foot home around here?") as you move down the page. The map has been removed, as customer feedback indicated the map itself was of nominal use, though the sortable "locations list" definitely comes in handy. Thus, the location list (sans map) was moved to a new "Explore" tab, which will have more metrics in later releases. 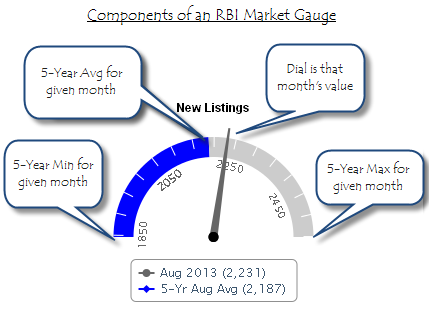 By removing the vertical space previously taken up by the map, RBI's most popular features - Interactive Charts and Reports - have moved up the page and save a few seconds worth of scrolling. Giving the Location Lists their own tab also lets users sort and view the complete list without the secondary scroll bar required when the list was next to the map.